Can Sandcarved Signage be Successfully Implemented into Wayfinding Systems? 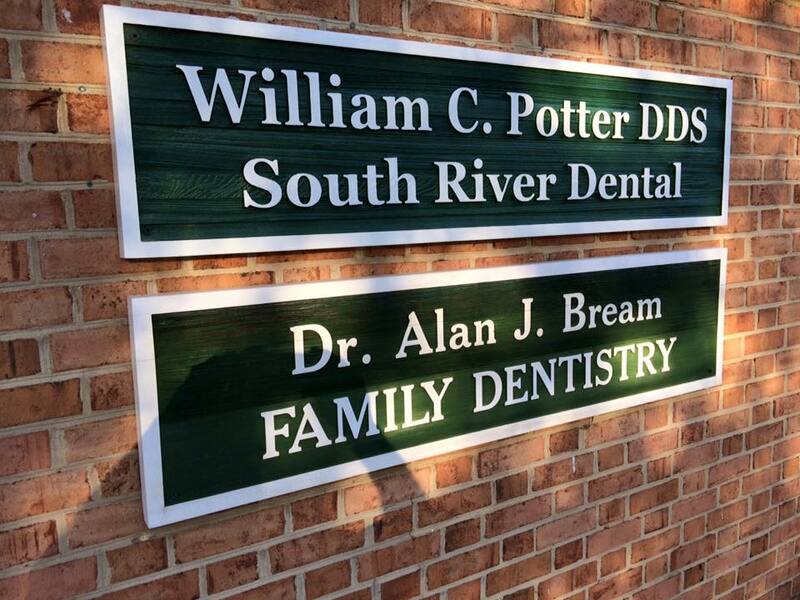 I recently got a call from the new dentist in Waynesboro, Virginia, Dr. William Potter, in need of a new sign for his office. He was taking the place of Dr. Michael Kivlighan who along with his real estate partners had contracted my previous company, Tree Street Signs, to make all the signage for his professional office park some 20 years ago. Now they had to hire a sign company that could closely match the existing signage system. The unique thing about this particular professional center is the signage. It’s all made of sandblasted cedar, stained dark green with raised white graphics denoting the name of each tenant. The signs are single-sided and are attached to the brick walls facing the main road. 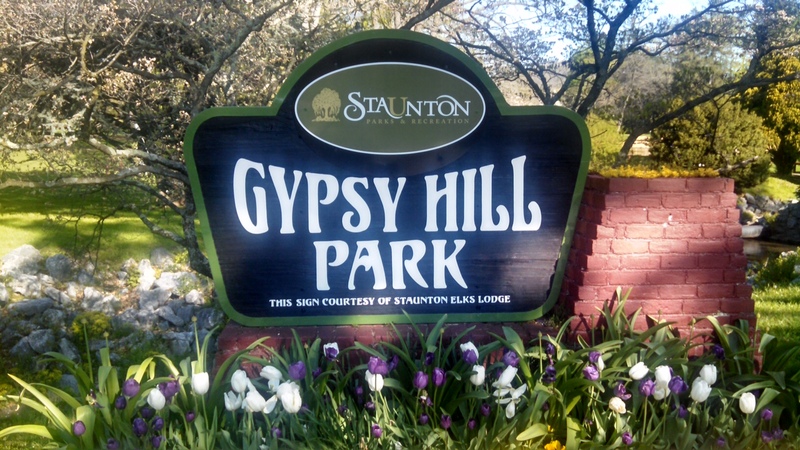 The main office park sign has been there probably since the complex was built, and I had rehabbed it 20 years ago by removing the routed metal letters, applying a stucco background over the bare brick, and then repainting the letters in the same color green as the cedar signage to make everything mesh. So does sandcarved signage make sense for wayfinding systems? I think so. “Your job must be a lot of fun but also frustrating with customers sharing crazy ideas like mine,” joked Lori Hicks, Director of Regional Accounts at the Omni Homestead Resort in Bath County, Virginia. 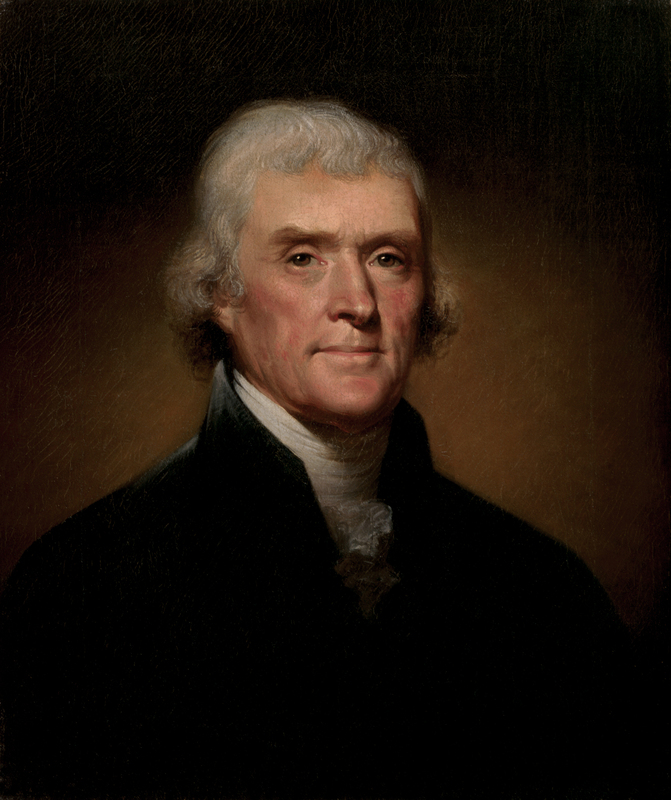 She was explaining that she needed to order a big, tall full-color portrait of Thomas Jefferson to erect in the fairway of their world-famous golf course for an upcoming tournament. 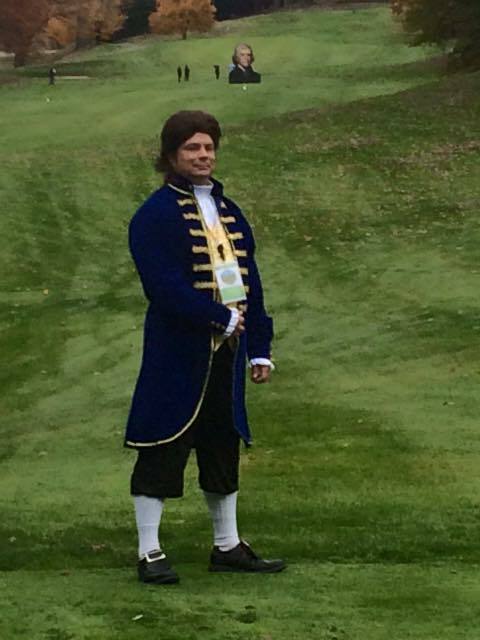 They were hosting an Omni Brand Golf tournament at The Homestead the weekend of October 23rd. Each of the resort properties sponsors a hole contest for their top customers. Their idea was a wild and crazy one called “Tip Tom”. 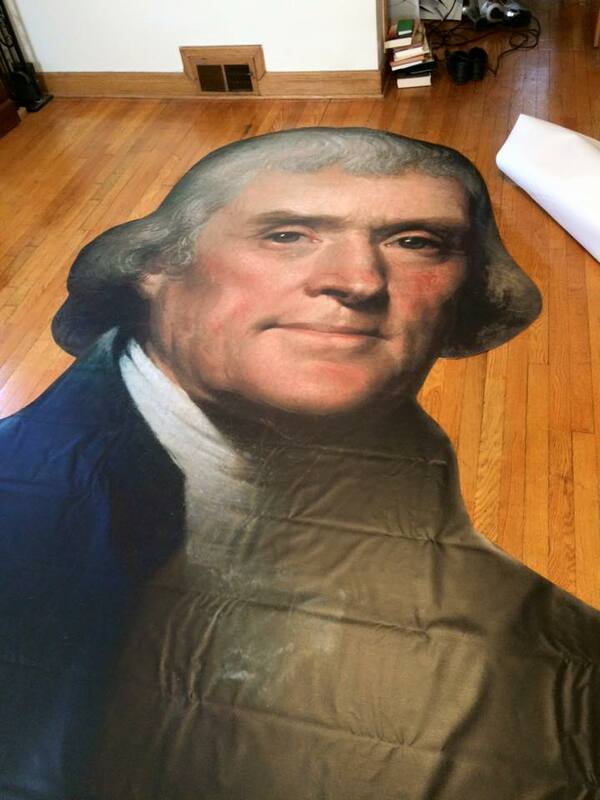 Their vision was to provide a huge Thomas Jefferson portrait sign placed in the middle of the fairway for customers to hit with golf balls to win a prize which ties in with the resort’s celebrating 250 years as America’s First Resort. The project was a lot of fun and a little challenging. The portrait would need to be digitally printed. Since it was only needed for a one day event, the materials didn’t have to last that long, yet they had to be durable enough to last a day out in the mountains of Virginia in the fall, potentially facing strong winds, and possibly rain. The customer suggested using 2″ thick foam for the body of the sign, and a tin for the skin so the golfers would know when they hit it from the ping. So that’s what I did. The challenge was to figure out how to assemble the thin metal skin onto the Styrofoam core. After some thought, I fabricated several horizontal cross beams for the back out of 1 X 4 pine boards that were used to “clamp” it all together using carriage bolts with washers on both ends. For the material that the portrait was printed on, I picked 13 ounce Scrim Vinyl and cemented it to the tin with contact cement. It worked just fine for the one day event and cost less than printing the image on regular adhesive-backed vinyl material. The event was a success, and even Tom himself showed up! Thanks to the Omni Homestead Resort for the neat project! Mark Hackley is the owner of Augusta Sign Company, former founder of Tree Street Signs of Crimora, VA and former sales executive with Holiday Signs of Chester, VA.
Every now and then I get a call requesting a banner that is larger than the standard size. When I say standard I’m talking 4′ X 8′ or 3′ X 10′. Once last year a church ordered a banner that was 8′ high by 32′ wide to advertise an upcoming evangelistic series on Interstate 64. 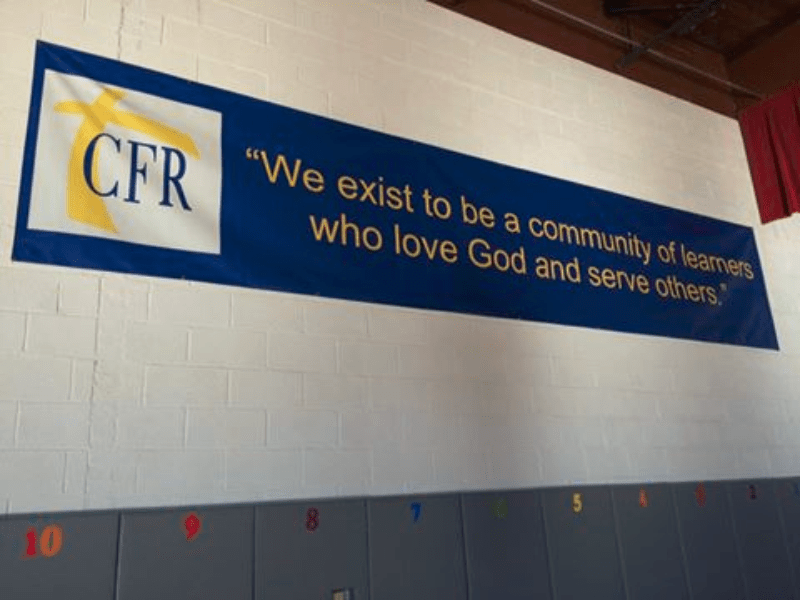 This year, I had the opportunity to make a fairly large banner for the gymnasium wall of a local Christian school that was 4′ tall by 20′ long. There is not much different in making a banner normal size or huge; you just have to pay attention to resolution to make sure the finished banner is not blurry and unreadable. Sometimes hanging larger banners can pose extra challenges than smaller ones, especially if outdoors exposed to the wind, or mounted at above normal heights. Let me know if I can help you with one sometime! They definitely get the attention you seek. 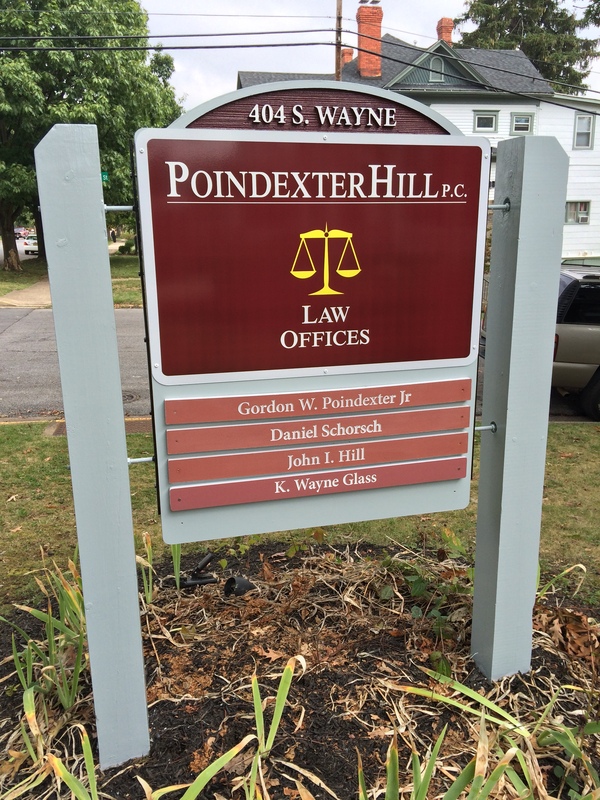 When John Hill reached out to look at costs for updating their office sign, I tried to develop a signage proposal that would retain the existing sandblasted sign and posts, while maintaining a professional look. Incorporating the new name and logo design and colors onto a ACM sign panel with laminated printed 3M vinyl graphics that fastened to the border of the old sign seemed like a good solution at a moderate investment for the customer. I cleaned up the existing three-dimensional name plates, repainted the wood posts and steel side iron brackets, and refreshed the top recessed area with address information. The new sign looks great! Thanks to John and other principals of PoindexterHill for the project. If you have a need for signage at your law office, business, medical office or professional center, contact Augusta Sign Company for advice. Mark Hackley, founder and owner of Tree Street Signs from 1990-2000 is now the president of Augusta Sign Company, Waynesboro, VA. 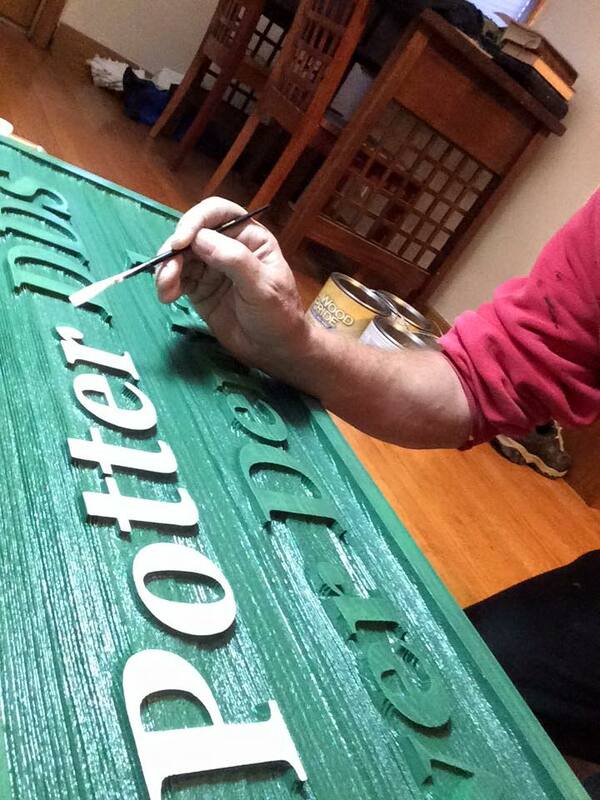 Contact him at 540-943-9818, or mark@augustasigncompany.com.